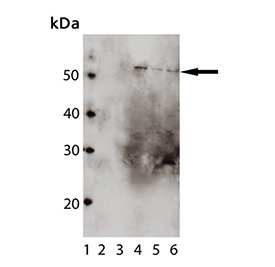 IP6K2 antibody LS-C343689 is an unconjugated mouse monoclonal antibody to IP6K2 from human and mouse. Validated for WB. 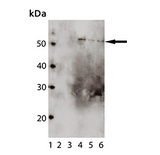 IP6K2 antibody was raised against recombinant human IP6K2 (inositol hexakisphosphate kinase 2). Detects a band of ~50kDa by Western blot.